Join the Art and Science Punks as they reflect on their latest art, science and tech projects, gadgets, and experiments. Rob and Kate are lifelong learners with kids exploring and sharing creativity, sometimes with great success and sometimes with great failure, but always with laughter (and occasionally tears). 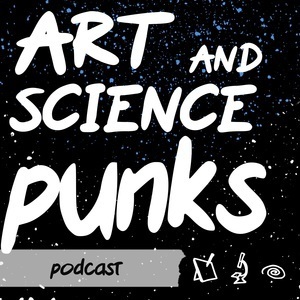 In this episode of the Art and Science Punks, Kate and Rob discuss a variety of topics ranging from our last names, Art Soundoff, and considering what we are critiquing in order to improve in our creative work. In this premier episode of the Art and Science Punks Rob explains how he engineered a game spinner for a missing piece of a board game and Kate shares her love of pumpkin carving.